There appears to be more allergies than ever before. You can’t go more than a few moments without hearing of what is now not allowed in the classroom or cafeteria. There seems to be more and more “peanut alerts” found on varying different foods, and, lunch time in the workplace might have become a trying experience, too as you hear of more and more people with different allergies, and foods that need to be avoided so as not to cause a reaction. Experts say that over 11 million people in the United States suffer from a different form of food allergy. That is a pretty staggering number, and is brought even more to the forefront because of the fact that food labels seem to be more difficult to read than ever. With the variety of unpronounceable chemical names and additives, it becomes harder for shoppers and consumers to know exactly what they are taking in. And these are just considered to be the major ones. There are thousands of other types of allergies and types of allergic reactions that vary from mild to severe. Sulfites, tannins and various food additives can bother different people at different times in their life from childhood through to adulthood. Is it Even Possible to Avoid Food Allergies in Today’s Society? The short answer is yes, but it definitely takes a conscious eye for detail, and what you consume. The rule of thumb is to always check with your healthcare practitioner to gain some perspective on what medications, vitamins or supplements you might be taking, because there are often additives that aren’t completely obvious on the label. Not only this, but as a rule, it is a safe bet that for a whole slew of reasons, any processed food or fast food could have something in it that you haven’t planned for. Taking a good look at the label and picking up the often available nutrition guides recently available at most fast food chains can give you an idea of the additives in your food that could cause an allergy or allergic reaction that you weren’t expecting. 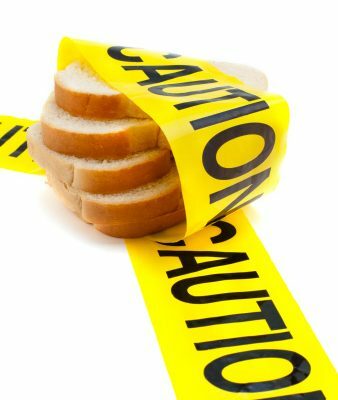 Nutritional experts will also warn of something called “cross contamination” that can affect the food you take in too. Be aware of how you package your leftovers, or if it is done for you at a restaurant. Some people have allergies that can be heavily triggered off by the simple act of one affected food item touching or mixing with another one.